The day may have finally come for Porsche's entry-level sports car to show its rear-engined big brother a thing or two at the track. They used to say that the Porsche Boxster was nothing more than a poor man&apos;s 911. 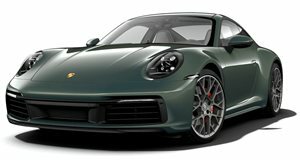 That may have been the case when the so-called "entry-level" Porsche debuted back in 1996, even up until the outgoing generation, but things change with time. 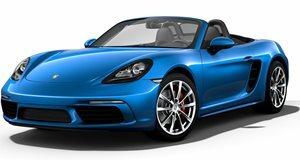 Is it now possible that newly redesigned Boxster S is faster than its big brother on the dragstrip as well as the racetrack? Car and Driver wanted to find out and journeyed over to the UK to test both German sports cars head-to-head. Powered by a 3.4-liter flat-six with 315 horsepower, the Boxster S has come a long way since its original debut. The 911 Carrera is also powered by 3.4-liter boxer six, only it&apos;s been upgraded to 350 hp. Can the Boxster&apos;s mid-engine layout and lighter weight do the trick and beat out the iconic 911?